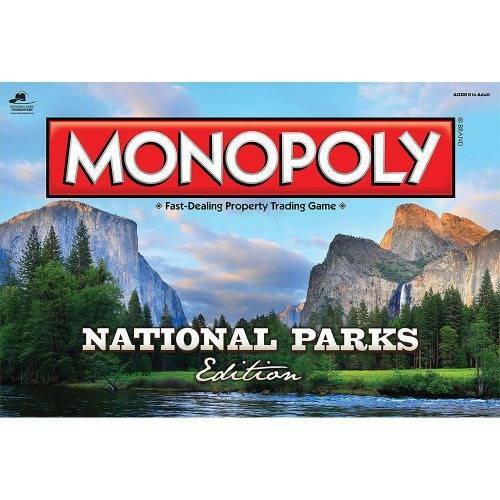 Celebrate the beauty of America's National Park system with MONOPOLY: National Parks. The game features over 60 of the most beautiful and historic sites in America from the stunning landscape of the Grand Canyon to the awe inspiring wonder of Yellowstone. Also featured in the game are the animals that have captured our hearts and curiosity and call the national parks home. 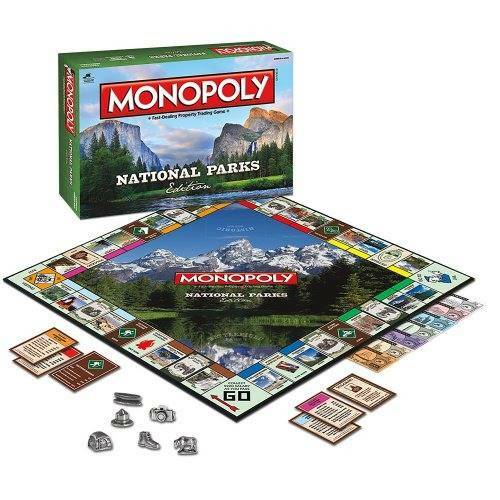 Journey into the heart of America without ever leaving home with MONOPOLY: National Parks Edition.